Pupils from Key Stage 1 gathered around the new Trim Trail today to watch as Ed Miliband cut the ribbon and declared the equipment officially open. 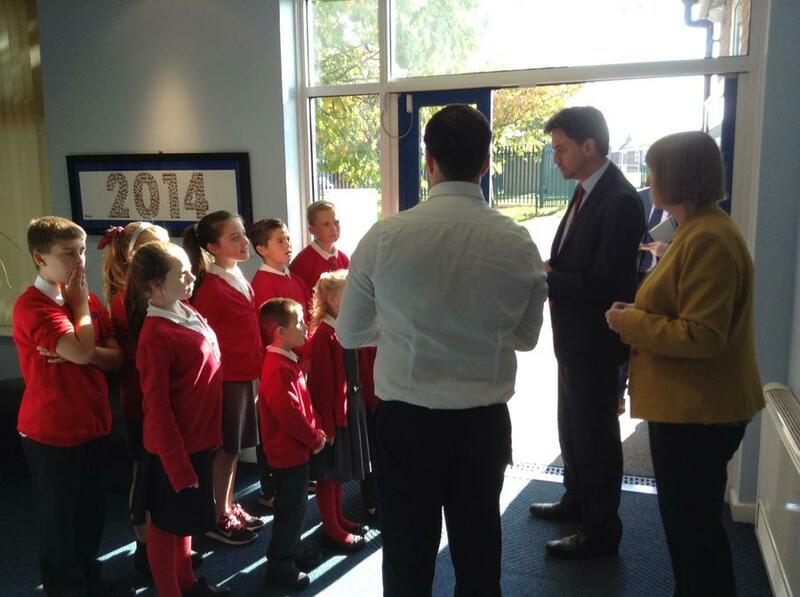 Mr Miliband was greeted on arrival to the school by our wonderful school council, who afterwards treated him to a tour of the school before the ribbon cutting. 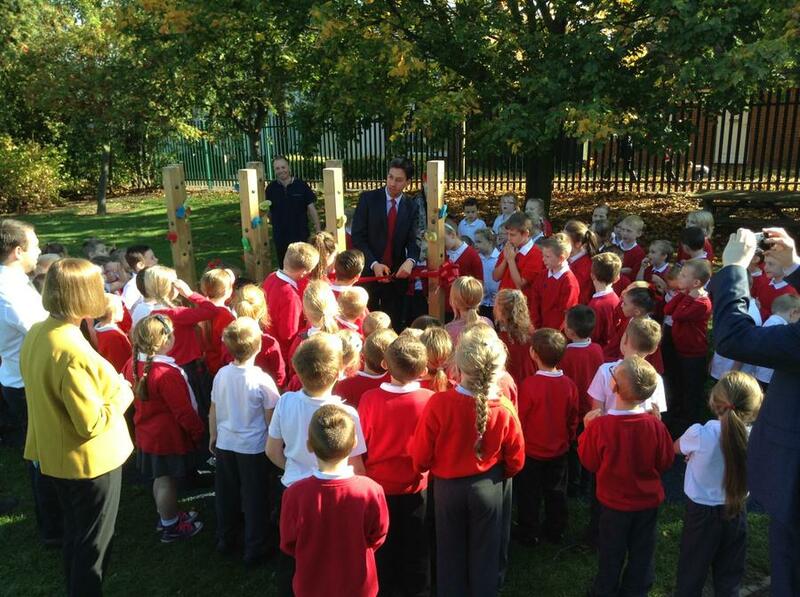 Mr Miliband then had chance to look at some of the other new outdoor equipment recently installed and said how impressed he was with the school playgrounds. We were extremely proud as our pupils showed their usual excellent behaviour and welcoming attitudes.